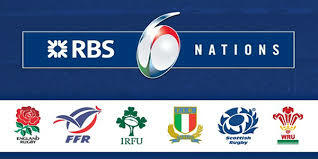 Our International Ticket Coordinator, Paul Birrell, has had a huge demand for tickets for the Scotland v England game. The Club will need to adjust many people’s requests, especially those who have ordered more than 4 tickets (even family members). Paul will try to be as fair as possible and will use the principle that no member is denied a ticket for themselves and/or family members. However, he has to assume that tickets are for Club members and not friends or friends of friends!! We will also be running a check to ensure that all applicants are current Club members. Please bear with Paul over the next couple of weeks as he sorts this out. The Club has requested more tickets from the SRU, however there is no guarantee that we will get an increased allocation. Paul still has plenty of tickets for Scotland v France match, but can take no more orders for England match. If you want tickets for the French match please contact Paul asap.